Have you been wondering how to remove gmail account from Sony Xperia L1? Then you’re right website. With the new Google Nougat update, things has been changed. In order to reset Sony Xperia L1 G3312 frp you need to first understand then follow the steps of this tutorial. Download and install USB drivers in your computer. To download drivers click here. Download and extract Sony Xperia X or variants firmware in your pc. Flash tool will be installed in your C drive root folder (C:\). Open it from that drive. Click on Flash button to load the flash files. Once you click flash button, it ask for choosing Bootmode. Check Flashmode from the pop-up dialog. 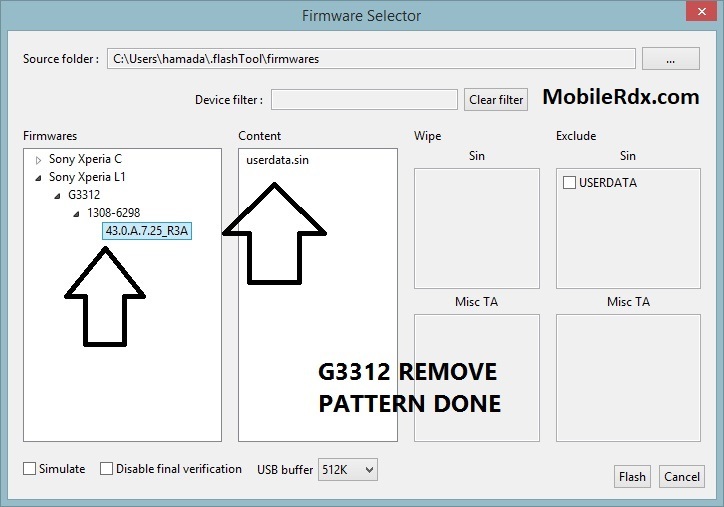 Click Load button and load the Sony Xperia L1 firmware file which ends with .ftf extension. From the right pane below firmware select the loaded firmware. Click on flash button to flash to unlock Sony Xperia L1 frp. Switch OFF your device. Press and hold Vol down button and connect with computer. If your device successfully connected. It start flashing firmware so we can move to Sony Xperia L1 G3312 bypass. Once it done, disconnect your device and remove it. If this not works make sure to follow step 10 properly.